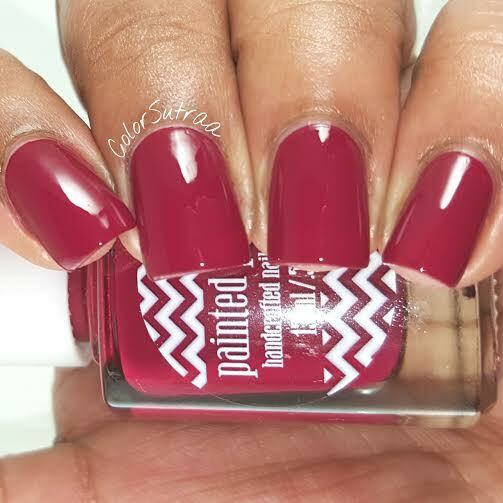 PAINTED POLISH The Cozy Cremes and Deux : Swatches, Review...and NAIL ART! Hi there, my darlings! Recently. 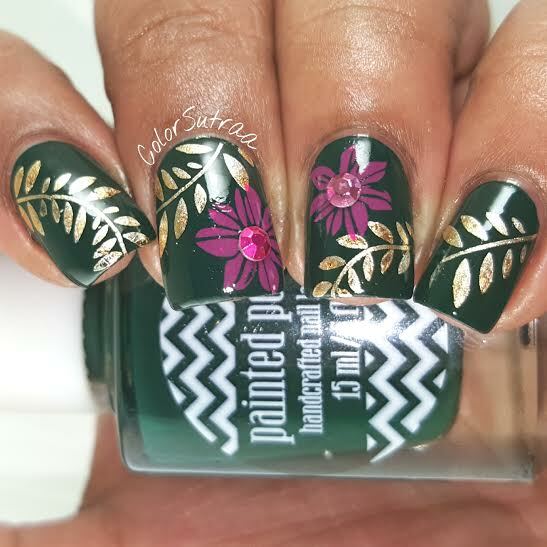 I mentioned to Lexi of Painted Polish that I would love to work with her again and she promptly sent me her four latest cremes--isn't she awesome?! 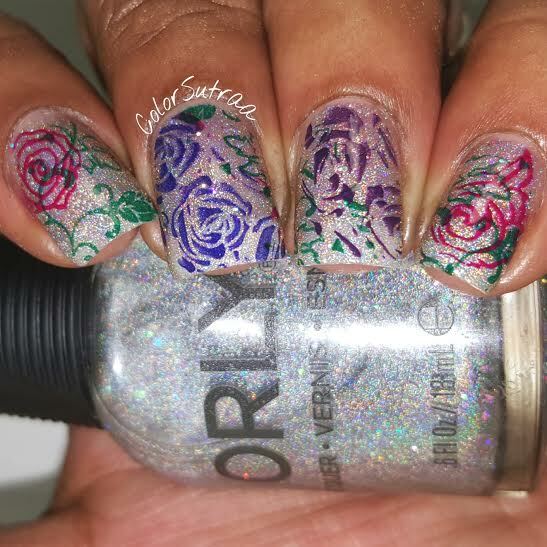 Now, as soon as I heard that they were cremes, I knew I wanted to do some nail art with them bu this Saturday, an absolute whirlwind of inspiration struck and I spent the whole night up furiously creating some nail art that I'm actually exceptionally proud of--for once, I loved every single look! Before I show you the fruits of my labor, let's take a minute to talk about the formula and application of these cremes. All four of these cremes had an astonishingly fabulous formula, apply like butter and were fully opaque in one coat. Yup! You heard that right--ONE COAT, people! It doesn't get better than that! All the swatches below show just 2 thin coats of each polish,, mainly because I don't like the little ridges in my nails which only I can see, topped with 1 thin coat of Glisten & Glow's HK Girl topcoat for added shine. 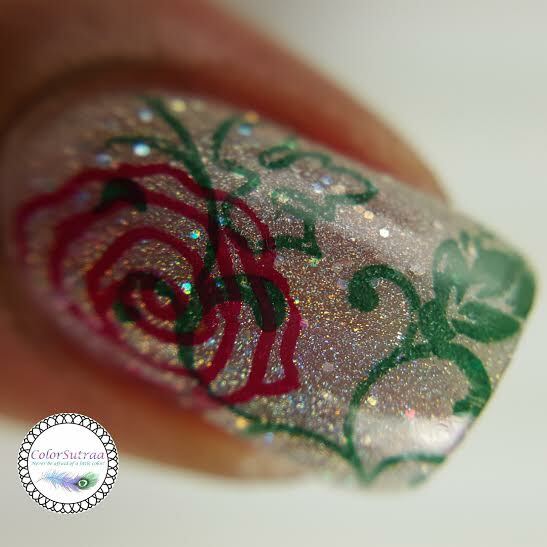 With that out of the way, on to swatches and lots of nail art! 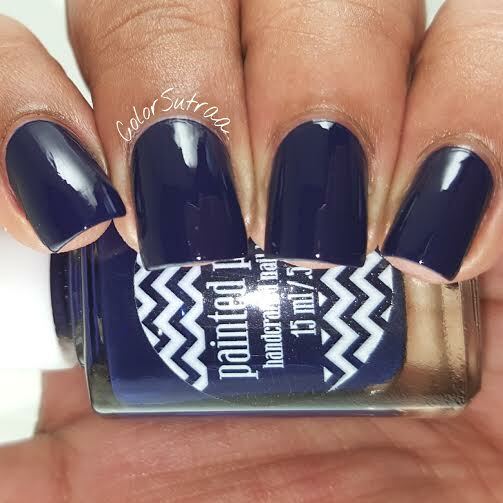 Deux is an inky royal blue creme. 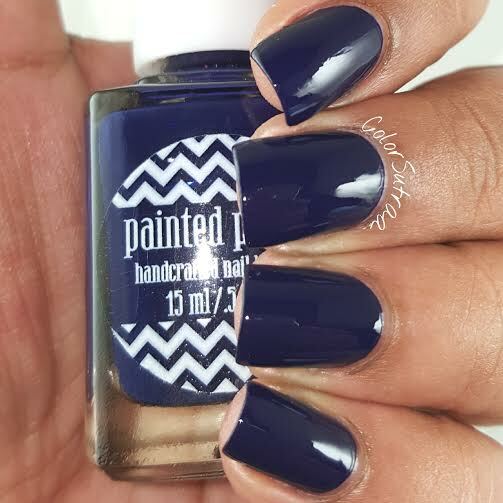 Perfect for any complexion! 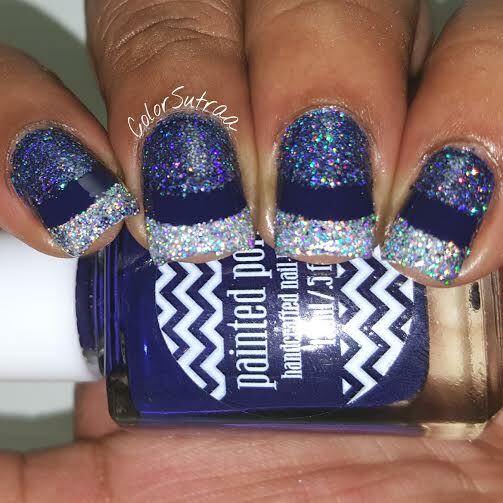 Here's a sparkly French tip look I created using Deux, Holo Wasted and Drunk on Holo, all from Painted Polish, plus some French tip guides, topped with 2 coats of Glisten & Glow's HK Girl topcoat to finish the look. Wouldn't this be fab for the Holidays!? Mulled Wine by Moonlight is a wine red creme. 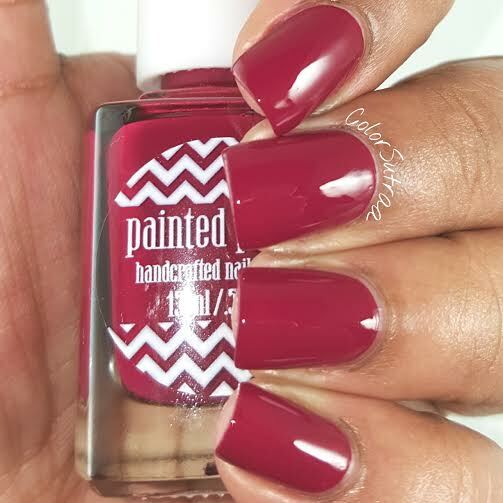 You already know I love this shade! 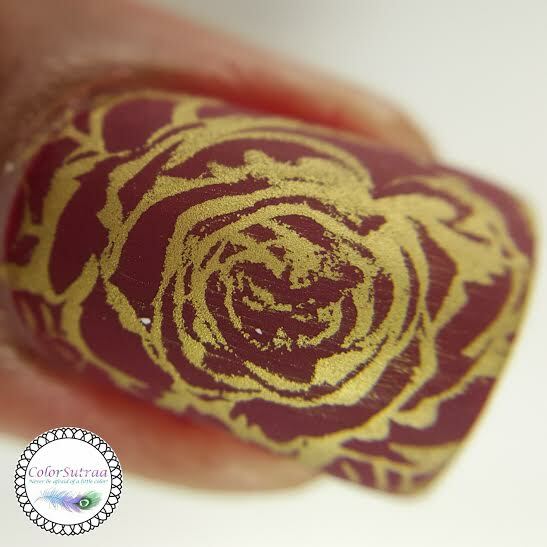 The look I went for with this one was a vintage floral by stamping with Mundo de Unas Gold and topping it all off with OPI Matte topcoat. So classic! 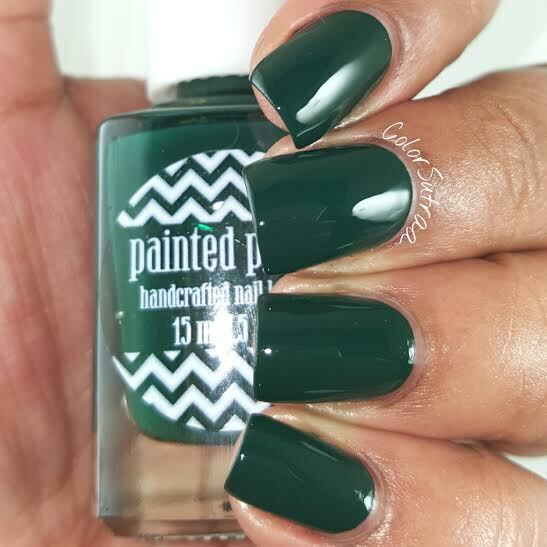 Woodland Whimsy is a rich forest green creme. 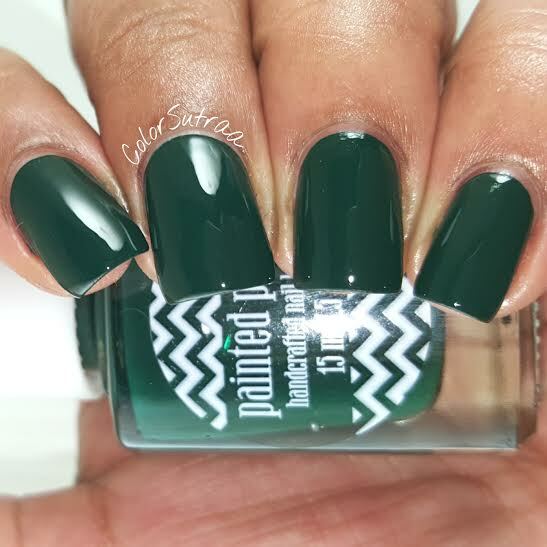 Doesn't this evoke memories of pine cones and Christmas trees?! 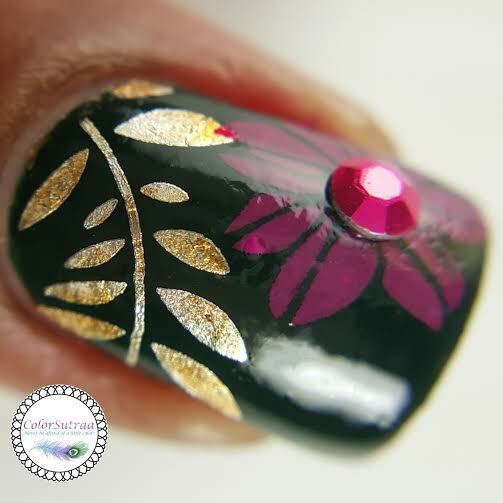 The nail art I created with Woodland Whimsy is super easy! 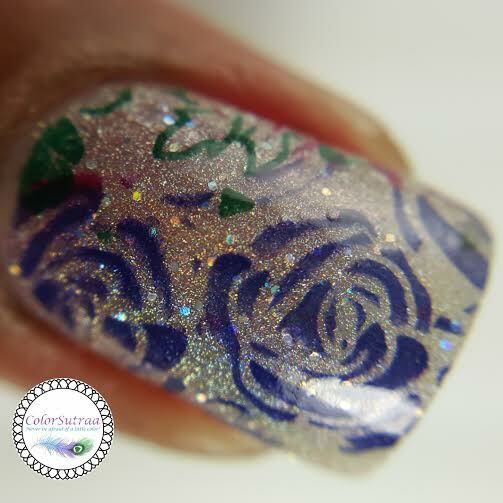 I used temporary tattoos from Beauty Tats (Item #BT027) and topped it off with Glisten & Glow's HK Girl topcoat. 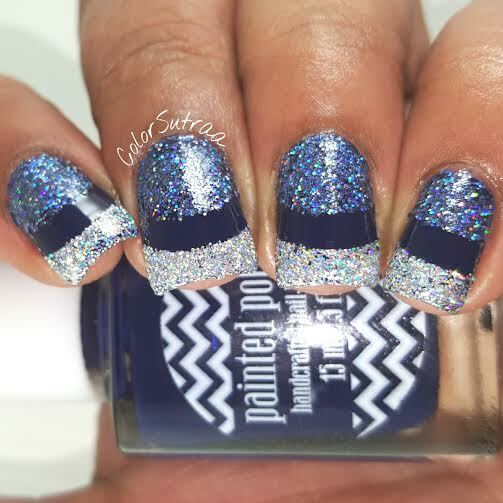 This is one of my favorite nail art looks EVER! 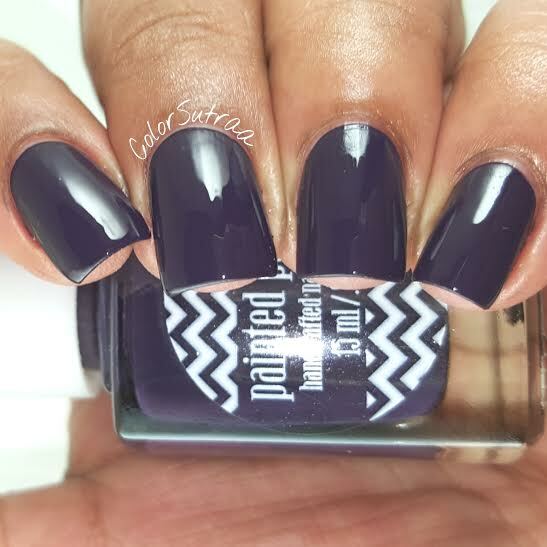 Autumn Twilight is a rdeep eggplant purple creme. 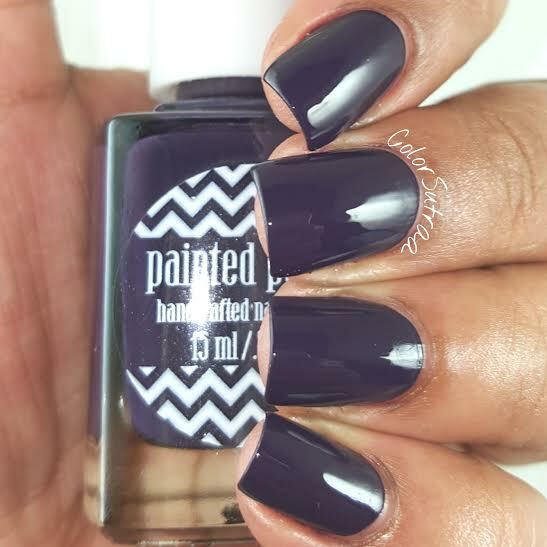 I just adore this shade of purple! The look I created with Autumn Twilight may just be my fave of the bunch! 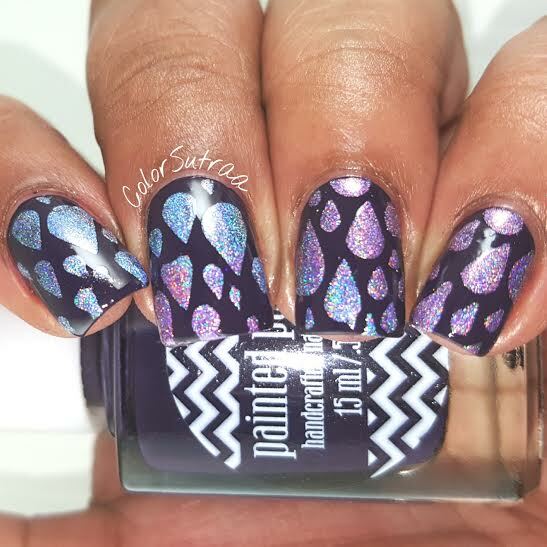 Raindrops created using Color Club Eternal Beauty and Crystal Baller and raindrop stencils from You Polish, topped with Glisten & Glow's HK Girl topcoat. 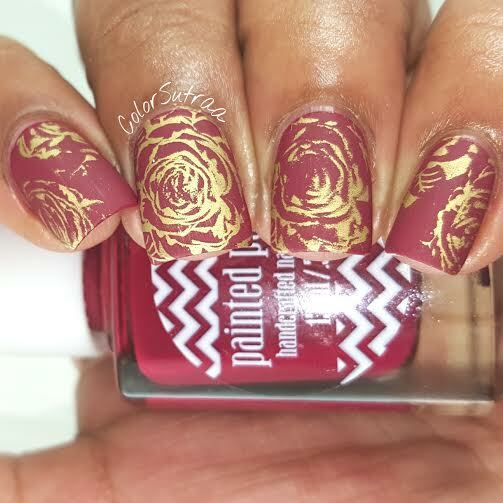 So, it's great that all these cremes are so awesome as the base for nail art. right? 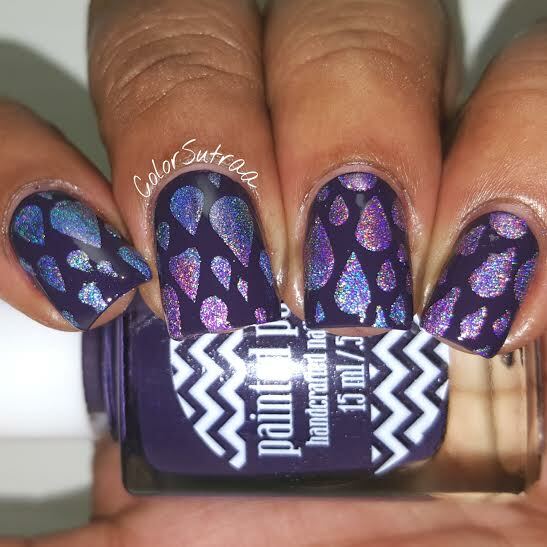 I mean, I don't know about you but I rarely have the patience to sit for hours with one nail art look and as such, one-coaters are a dream come true! But the biggest news with these cremes is...THEY ALL STAMP! Yes, indeed! 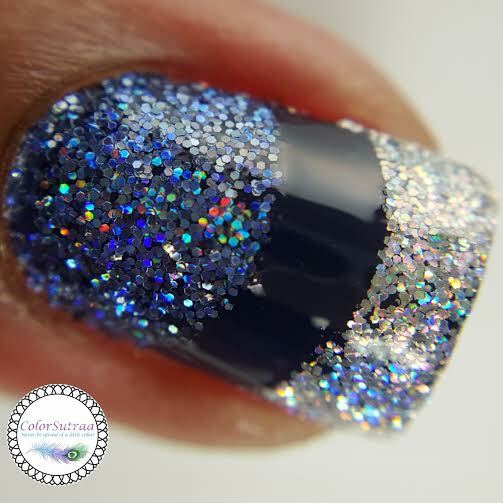 Take a look at how beautifully the stamped over Orly Mirrorball! To die for! 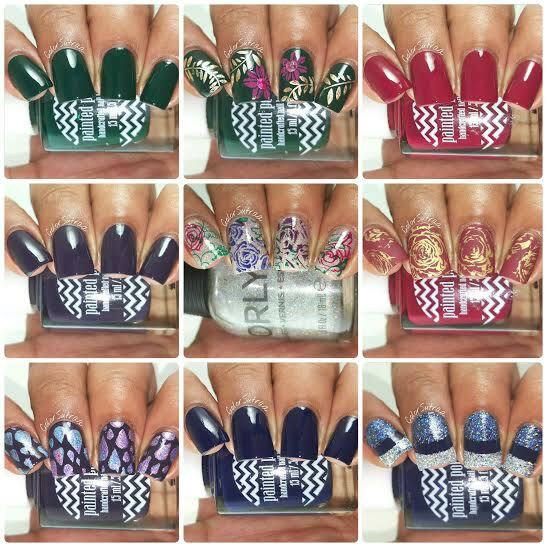 Which of these nail art looks is YOUR favorite? I'd love to hear your opinions in the comments section below! 4 lovely cremes and you created 5 spectacular looks with them! What a beautiful fall/winter collection! 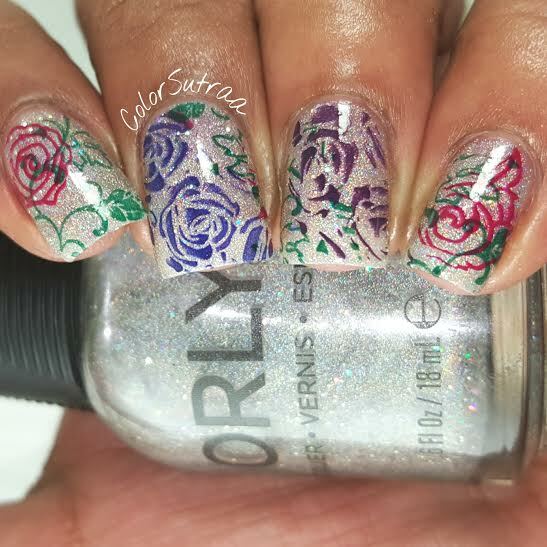 I love your gorgeous nail art, but the polishes look beautiful even on their own! 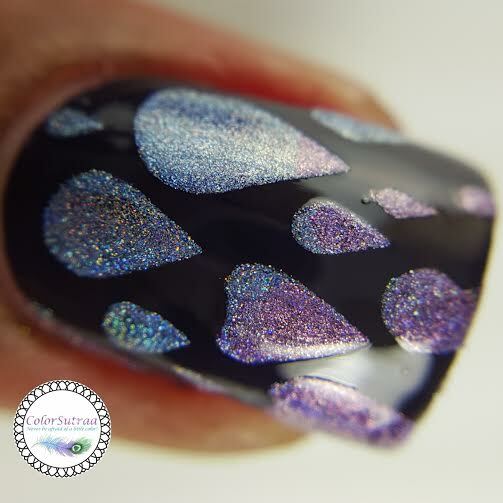 These are gorgeous colors, and the nail art is just beyond beautiful! Those polishes are great and I love your nail art. The best is the purple. I love that one. Your nails are so fun and festive, love! 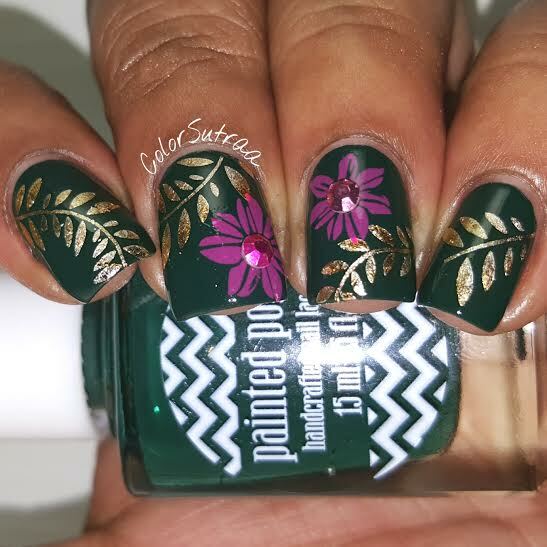 Your nail art is ABSOLUTELY PHENOMENAL, Babi! AMAZING! I love th4ese shades! Autumn Twilight is especially pretty. Mulled Wine by Moonlight and WoodlandWhimsu are my favorites.